It's interesting because I didn't really start listening to Joni Mitchell until the last year at the most. My wife, Brigid, got that record, Clouds, on a cassette tape, and the car we were driving around at the time just had a cassette player. 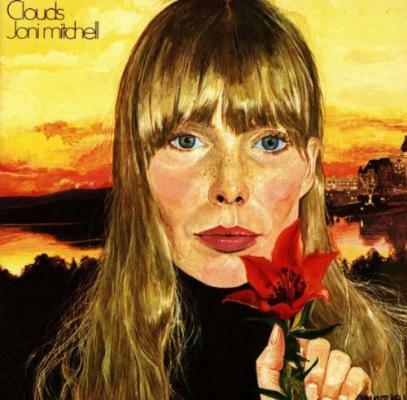 I'd always heard Joni Mitchell, but it never really clicked with me. I could always appreciate her, but it didn't hit me, and it took hearing that record in the car probably half a dozen times before all of a sudden it was really like a flick of a switch. I was just enamoured. And then I started to dig into more of her music. That one, for me, is hard to beat. I just love the simplicity of it and how raw it is: it's just her – kind of like that Nina Simone album as well. Rather than a bunch of dudes in a studio trying to tell them what to do, those records are more like just them doing their thing. But then I started to get some other records, and I picked up one from the 1990s called Night Ride Home, and I was listening to that often. I suddenly realised that my mum used to listen to that all the time when I was really young – like four-or-five-years-old – and I knew every bit of every song. I hadn't heard it in 20 years, but I knew the whole thing. It was such an incredible experience, and I actually started weeping: it was like something coming around full-circle again. [My wife and I] are both into folk, it's something that we both share. Whenever we see a Joni Mitchell record somewhere that we don't have, we'll almost always pick it up. Some of them are easier to get into than others, and some of them take a good few listens before we really get into them. She's a fearless, unbelievable artist with a very unique vision and an incredible voice. I really admire her so much. Every time I meet someone who doesn't like Joni Mitchell, I just want to say to them, 'just try it! ', because once you get it, it's so rewarding.